Last month our Institutional Trading Director, Ritchie Brown, and I attended an ETF trading conference at the New York Stock Exchange. CLS focuses specifically on ETF investing, so we were excited to learn more about how to improve our trading methods. We were also looking forward to meeting our business partners, Bank of America/Merrill Lynch and Knight Trading, and to strengthen those relationships. The conference and the relationship building went better than planned, and we returned home better positioned to use our knowledge and relationships for the benefit of CLS clients. Unbelievably, Ritchie nor myself had ever been to NYC. It’s true. Despite having spent over 17 years in the finance industry I had never been to New York, the NYSE, or any of the myriad of financial offices that call New York home. I have travelled to amazing cities like Tokyo, Bangkok, Hong Kong, and Beijing. Likewise, I’ve been to many major cities here in the United States, but had never been further northeast than Washington DC. I was well overdue for a trip to The Big Apple and I was excited. I was also apprehensive. Visiting a new city, especially one like New York, had me worried about a few things. How would I get around? What if I get lost? Mostly, as one who had lived most of his life in Midwest ‘flyover’ territory, I was worried about how I would be treated by the locals. It didn’t take long to learn that my biggest fear was completely unfounded. From the time we arrived in the city, Ritchie and I were treated like fellow New Yorkers. 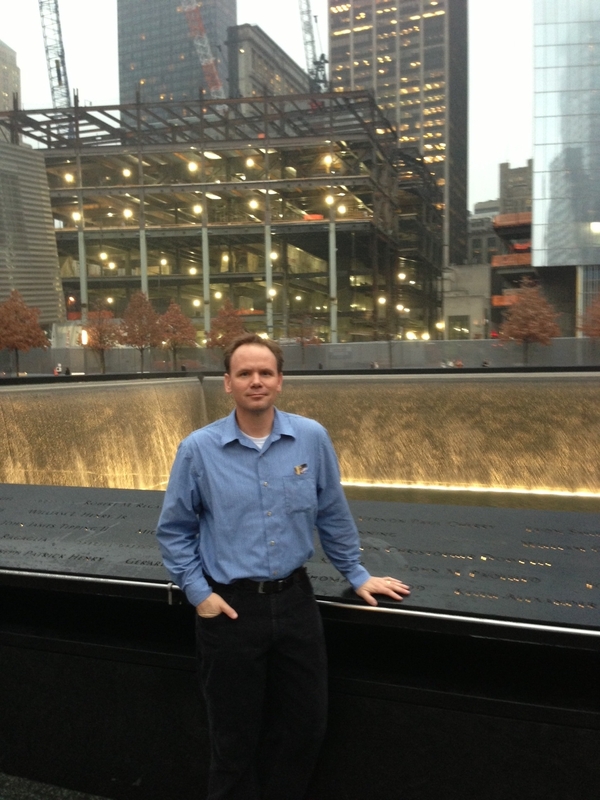 When we got off the plane our first order of business was to visit the 9/11 memorial. As first time visitors, we walked down Broadway and around the financial district for about an hour trying to find the site of the former World Trade Center towers. It wasn’t until we found the entrance to the Memorial that we discovered we couldn’t just show up to Ground Zero and walk around. Instead, you are expected to get tickets well in advance and enter at your appointed future arrival time. Thinking we were out of luck we turned to leave, when a New York City police officer stopped us and urged us to enter the gates anyway, assuring us that there were extra tickets and plenty of room. The officer’s tone was not that of condescension or annoyance at helping the clueless tourists, which we certainly were at the time, but one of welcoming to a great city and understanding of the importance of visiting hallowed ground. And so it went for the rest of our three day visit to New York. From the front desk attendant at our hotel, to the cab drivers, to the people on the street, literally every New Yorker we came in contact with was a warm and gracious host to their city. Even our high-powered contacts from institutional trading desks at Bank of America/Merrill Lynch and Knight Trading treated us like kings of the city and helped us with our every need. This treatment was hard to understand as Ritchie and I knew we weren’t the most important or profitable of their clients. The thing is, they knew it too, it just didn’t matter. All that mattered to the people of New York was that we felt welcome in their city, and they were excited to share it with us. When I returned home I marveled at the trip I had just taken. Professionally, I was amazed at how valuable the information and relationship-building at the ETF conference had been. The knowledge and contacts we gained will only help the shareholders of our mutual funds and our investment management clients. Perhaps the greatest lessons I learned were personal. 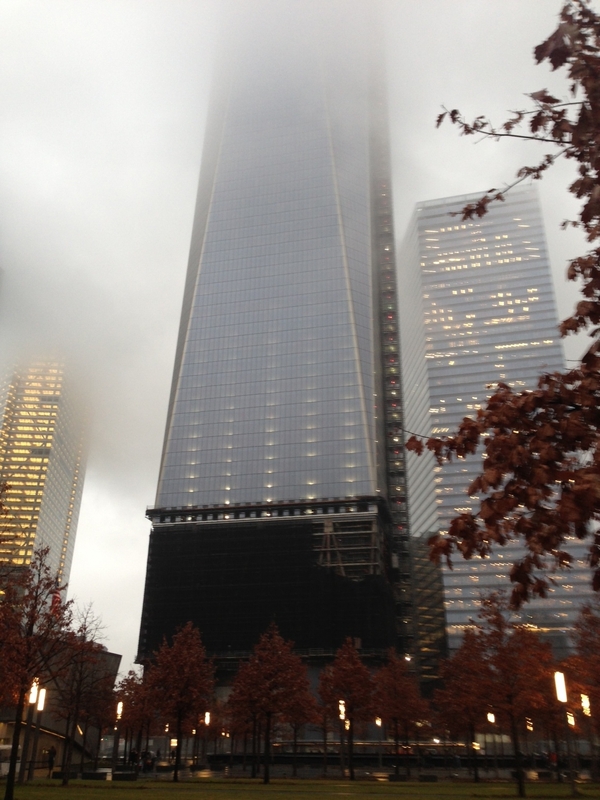 I had expected a hurried and anxious experience in New York, one where I would have to get tough to get what I needed. Instead, my experience was completely opposite thanks to the people of New York, who are perhaps the happiest I have ever met. And why wouldn’t they be? These are the lucky folks who get to live in the greatest city in the world. On top of that, it was Christmas time. The tree was up in Rockefeller Center, the windows in the shops on 5th Avenue were decorated, lights were everywhere, and the whole city was abuzz in the excitement of the season. 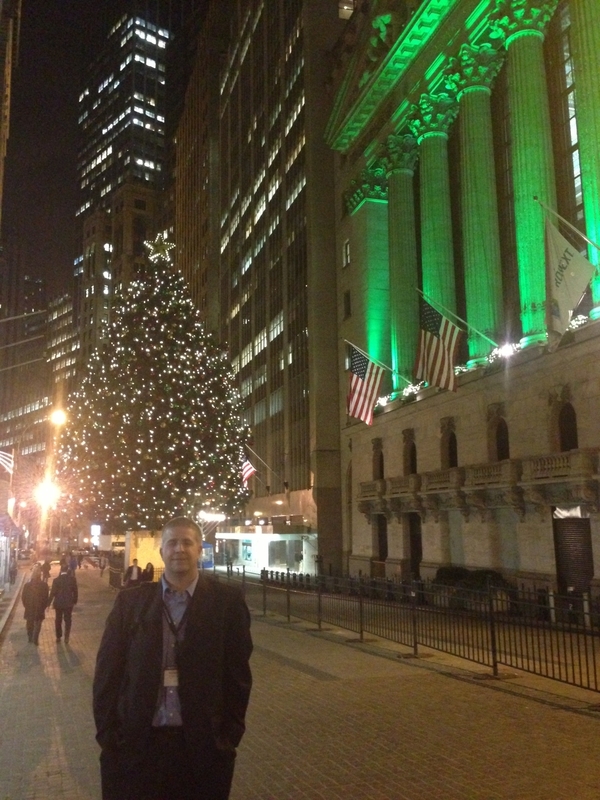 I will always feel truly fortunate that my first journey to the Northeast took place at Christmastime in New York City.